A complete game-changer in the world of chocolate spreads. 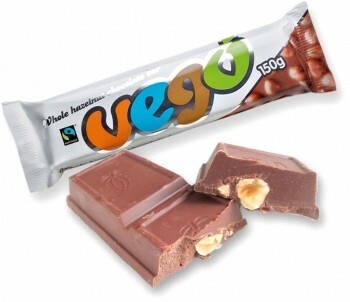 Forget the rest, Vego Crunchy Spread, just like Vego bars, is the best! Includes 'Vego' branded tumbler after the spread is finished (which won't take long)! Chocolatey, chewy toffees that are so moreish! Certified organic, made with coconut milk & coconut blossom sugar. Wow! 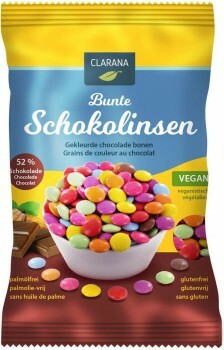 Vegan smarties are here! Colourful little bites of vegan chocolate goodness perfect for snacking and baking. 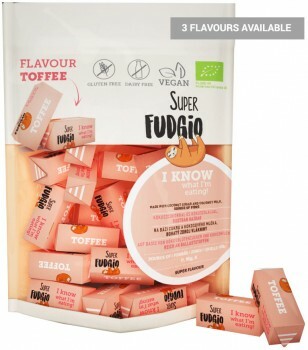 Vegan and certified organic version of Starburst Fruit Chews! 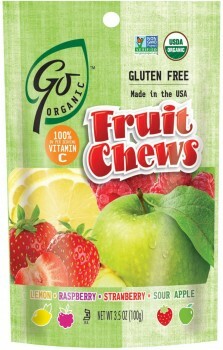 Mouth-watering Lemon, Raspberry, Strawberry and Sour Apple soft chews that are flavored naturally. Kresho. Almond Nougat in Fairly Traded Chocolate. Vegan. One of the best bars we have ever tried. The Kresho nougat is chewy like a slightly short torrone. Their almonds are slow roasted with a beautiful crunch. Their chocolate is pure couverture. 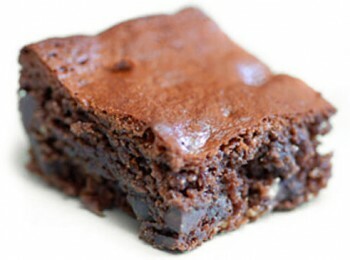 They've combined them all in a delightful ratio and packed them in a bar we think you'll love. Intended to be consumed at room temperature but if you like a crunchy nougat try placing it in the fridge. Enjoy! 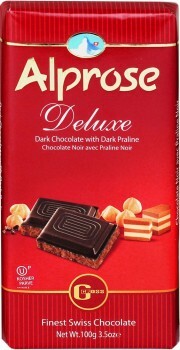 Made with the finest Swiss Dark Chocolate, Alprose Deluxe Dark Chocolate with Dark Praline is Vegan, Kosher, Dairy Free and utterly moreish. This is an absolute favourite! 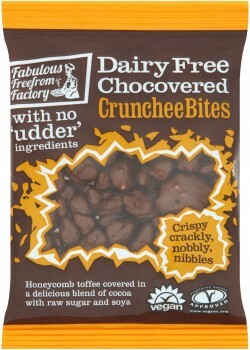 Delicious hand-crafted fudge pieces coated in delicious dark chocolate with a savoury hint of sea salt. You won't be able to stop at one! 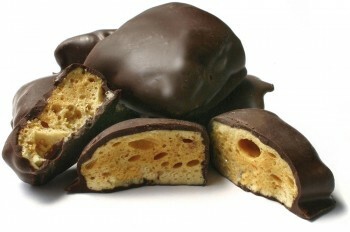 Delightful chunks of crunchy vegan Honeycomb Toffee covered in a delicious rich chocolate blend. Gluten Free, Dairy Free, Vegan, no hydrogenated fats or artificial ingredients. 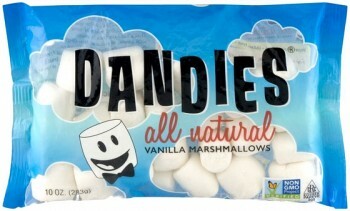 Dandies light and fluffy gluten-free marshmallows melt just like regular marshmallows. Perfect for rocky road, hot chocolate and many other vegan treats. They even toast over the camp fire just like traditional marshmallows. The new generation of vegan snacks has arrived! 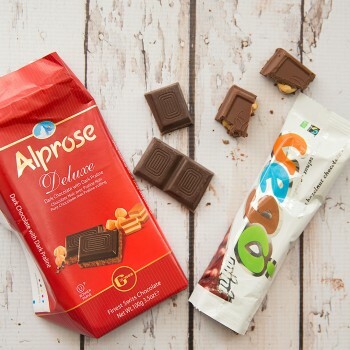 For over a decade, we’ve been hearing how so many vegans really miss the flavor of their favorite non-vegan candy bars, but that’s changed, because now you can enjoy some of your old favorite flavors without having to eat dairy and other unwanted animal-based ingredients. Little Gummy Bears that are big on flavour. Organic fruit flavour that is! A perfect natural sweet treat for everyone to enjoy. Vegan, Cruelty Free, Gluten Free, Egg Free, Wheat Free, Organic. 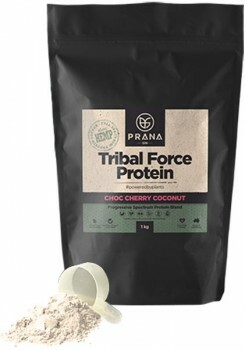 Tribal Force Protein is a powerful and progressive blend of plant-based proteins and superfoods; including Hemp, Maca and Sacha Inchi. Formulated to aid in the recovery and growth of active bodies. 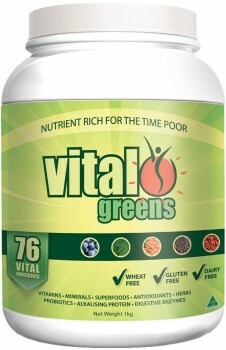 Fortified with digestive enzymes and probiotics for maximum bio-availability. Unique vegan Vitamin D3 from lichen extract GMO-Free; Non-GMO Project- Enrolled Supports optimal bone mineralization and health, Promotes immune function, Supports a healthy inflammation response, Contains cholecalciferol, the most bioavailable form of Vitamin D, 60 vegan capsules. Contains Vitashine D3. Gummi King Multi-Vitamin & Mineral gummies come in six natural fruit flavors (strawberry, lemon, orange, grape, cherry & grapefruit). They are vegan and gelatin free, and provide kids with multi-vitamin & minerals, key vitamins they need during their growing years. Gummi King gummies are made with only the highest quality ingredients! 60 gummies per bottle. Gummi King Calcium plus Vitamin D gummies come in six natural fruit flavors (strawberry, lemon, orange, grape, cherry & grapefruit). They are vegan and gelatin free, and provide kids with Calcium and Vitamin D. 60 Gummies. Vegan. No Gelatin. Gummi King gummies are made with only the highest quality ingredients! 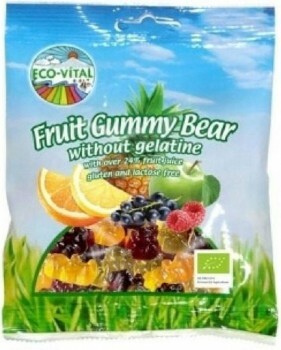 Suggested Use As a dietary supplement, adults and children 2 years of age and over chew two Gummi King gummies daily. Workouts don’t happen just in the gym or on the trail. A day of hard work takes a toll on your body. Your muscles need protein to recover and rebuild. 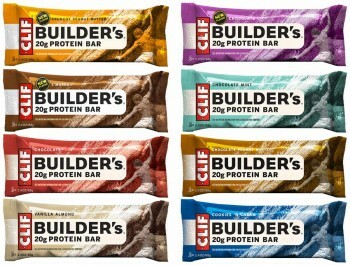 CLIF Builder’s gives you 20 grams of soy and nut proteins in a delicious, dipped double-decker bar. Available in Chocolate, Cinnamon Nut Swirl, Cookies 'n Cream, Chocolate Peanut Butter, Choc Mint, Vanilla Almond, and Crunchy Peanut Butter flavours. 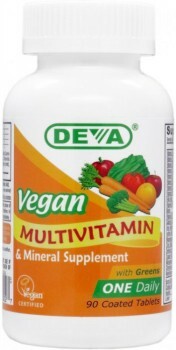 Deva Nutrition is proud to introduce its amino acid chelated Iron supplement with added Vitamin B-12, which is an important factor in proper red blood cell (RBC) formation. 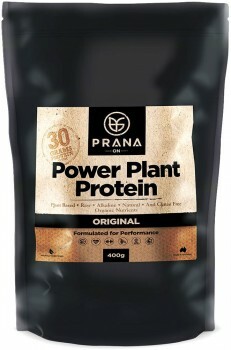 Power Plant Protein by Prana On is simply the best tasting natural protein supplement on the market! This plant-based protein source has added amino acids to optimally fuel the process of muscle growth (hypertrophy), and digestive enzymes to increase the overall bio-availability and assimilation. 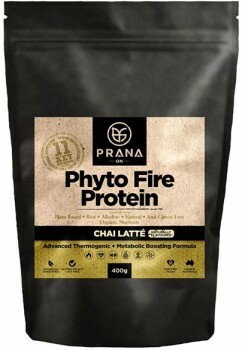 Phyto Fire Protein by Prana On is the first thermogenic and metabolic boosting Plant Protein to feature such widely recognised ingredients that assist with weight management, appetite control and fat loss. 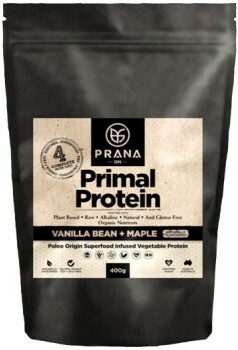 Prana Primal Protein has what it takes to challenge any existing amino acid profile on the market. Stripped back to Nature’s best, this new formulation utilises the power of plants and ancient super foods to give your diet the upper hand when it comes to nutrient density. 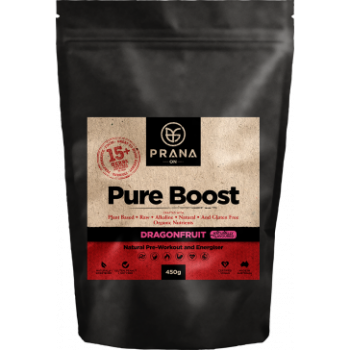 The Ultimate All Natural Pre-Workout Energiser. Designed to Increase and Enhance your Peak Performance, Focus, Strength and Endurance. 450g. 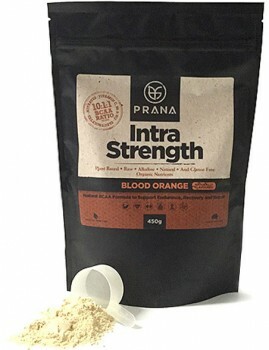 Intra Strength is a powerful blend of Branched Chain Amino Acids (BCAAs with a 10:1:1 ratio) and Superfoods, fueling your body naturally with Nitrates, Electrolytes, Vitamins (C, B6 and B12), Minerals and Antioxidants. Persian Khoresh are slow cooked stew dishes from Iran, and now you can enjoy the same flavours without the wait. Comes in three flavours. Provamel single cream is a fantastically versatile dairy-free cream that can be used for any number of applications, just like dairy cream. It works perfectly when added to your favourite hot dishes, but is equally delicious drizzled over fresh strawberries or a slice of vegan cake. 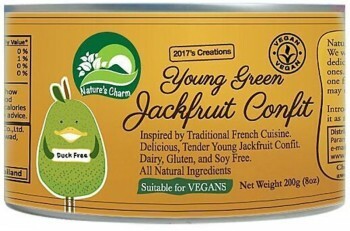 Inspired by traditional french cuisine, delicious, tender young jackfruit confit by Nature's Charm. 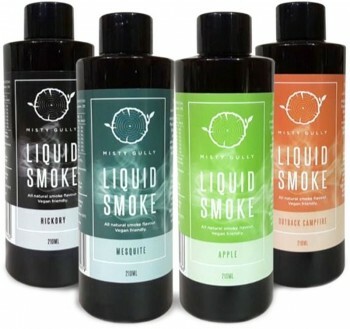 Misty Gully is Australia's number one selling brand in Liquid Smoke. All natural, vegan and Halal friendly. No added sugars or salts. Liquid Smoke available in Hickory, Mesquite, Apple and Outback Campfire flavours. 200ml. The sweet taste of the sun and the tropics is caught in this convenient 250 ml packaging you can take along with you. Soya mini drinks are tasty as a basis for your smoothies, but due to their convenient size also perfect for in your backpack, lunchbox or handbag as a snack. Available in Banana, Chocolate and Strawberry. Nature's Charm has come up with a new version of chocolate fudge sauce. 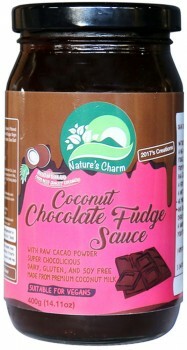 This sauce is made from premium coconut cream and raw cacao powder to create a very special fudge sauce with a hint of coconut. They made this sauce extra creamy and chocolatey without being overly sweet so you can enjoy a dairy-free, vegan version of your traditional fudge sauce. 400g. Heat things up with this authentic Asian dish made with plant-based protein, tender noodles and just the right amount of spice! 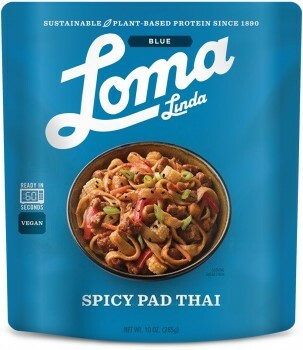 Made with sustainable and healthy GMO-free plant-based ingredients, this meal heats up in just 1 minute in the microwave, making it a great option for taking on the go whenever you need a quick and convenient vegan meal that's sure to satisfy. 285g. 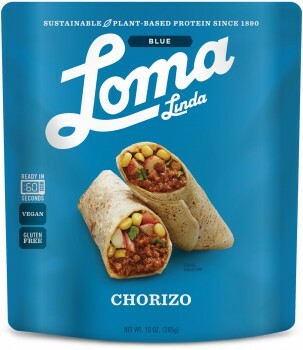 Classic yet bold Chorizo taste, in a plant-based meatless crumble. Heat it and get creative; serve in a burrito bowl, pizza, casserole, or whatever your taste buds crave! Shelf-stable and easy to prepare. 285g. A liquid protein concentrate, derived from Non GMO soybeans and full of essential Amino Acids. Non-fermented soy sauce and Tamari substitute. 473mls. Great on Salads & Dressings, Soups, Veggies, Rice & Beans, Tofu, Wok & Stir-frys, Tempeh, Casseroles, Potatoes, Popcorn, Gravies & Sauces, Macrobiotics. 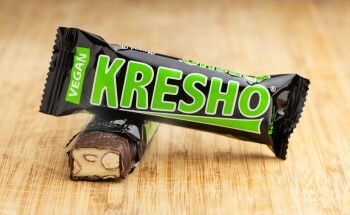 Vegan's love their 'nooch'! 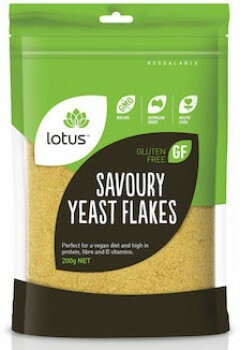 Full of umami goodness, these Lotus Savoury Yeast flakes (nutritional yeast) have been specially designed to meet the nutritional needs of vegans and vegetarians and anyone interested in a rich source of B Vitamins. They make a great cheese alternative in many recipes. Fortified with Vitamin B12. In long lasting 200g bags. 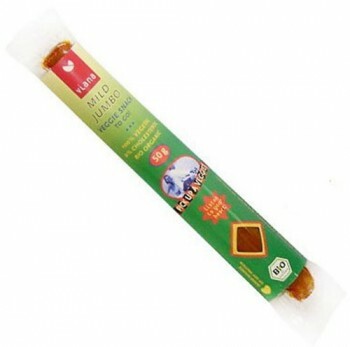 These delicious fiery sticks of goodness are the perfect meat-free snack on the go. With a wonderful texture and flavour, the Picknicker and Mild Jumbo are sure to become favourites. Certified organic, cholesterol-free, dairy-free, GMO-free, vegetarian and vegan, no artifical colours or flavours, no preservatives, AND made using pure water from the volcanic Eifel region! Try one today, and see if you can stop at one! If you love the Soyatoo! 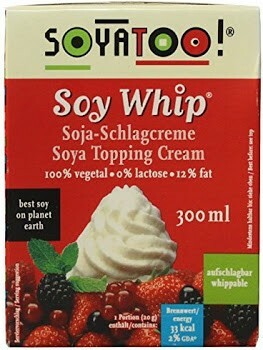 Organic Topping Cream, then you will be over the moon about Soyatoo! Soy Whip. Filled with ready-whipped Soyatoo! organic vegan cream, just spray it on all of your favourites! 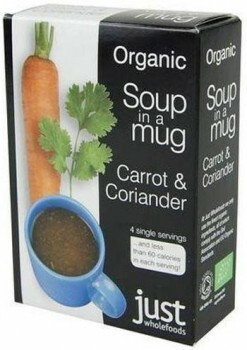 Perfect for Cappucino's and just about everything else! 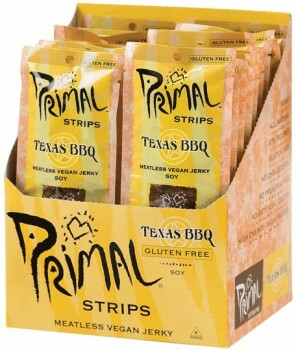 Primal Strips are delicious, healthy, meat alternative snacks providing the positive health benefits of Soy and Seitan. Available in Hickory Smoked, Teriyaki, Thai Peanut, Hot & Spicy Shiitake, Mesquite Lime and Texas BBQ flavours. 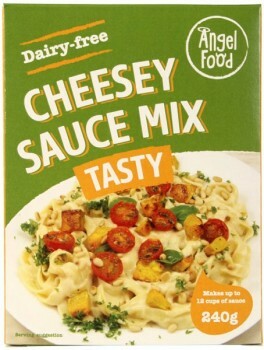 A deliciously tasty cheese sauce, perfect for creating mouthwatering Macaroni cheese, vege lasagne, baked cauliflower and cheese or some easy, cheesey nachos. The finishing touch for pasta. 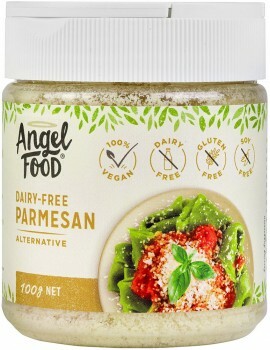 Use anywhere you would have used powdered parmesan. It’s great on pasta, mashed potato, sliced fresh tomatoes, or even give a special lift to beans on toast! It's whipped cream, but not as we know it. Made from non GMO soy, Soyatoo's Topping Cream is a delicious and healthy alternative to dairy creams. This is the closest tasting food to honey without being honey! This amazing ‘vegan honey’ is the only sweetener ever to be awarded a Great Taste Award in the UK. Purely Vegan Hand Cream comes in a 50ml Miron glass bottle. Miron glass is a superior packaging product which provides optimal protection for natural ingredients against the harmful effects of light. Purely Vegan Stretch Mark Oil comes in a 50ml Miron glass bottle. Miron glass is a superior packaging product which provides optimal protection for natural ingredients against the harmful effects of light. Purely Vegan Night Cream contains Patchouli and Ylang Ylang oils to calm the senses, and Rosehip, Argan, and Carrot Seed oil to help hydrate and repair the skin. Purely Vegan Face Mist contains Rose Hydrosol and Witch Hazel to balance, tone, and hydrate the skin. Rich in vitamin C, flavanoids, antibacterial, and antioxidants, this mist helps boost collagen, reduce redness, tighten the skin, and prevent premature ageing. This mist can be used to refresh the face or the whole body. Purely Vegan Day Cream helps to hydrate, balance and invigorate your skin with active ingredients such as Argan Oil, Jojoba Oil, and Vitamin E and the beautiful essential oils of Bergamot and Geranium. This cream not only nourishes the face and neck, it can be used as an all over body lotion. Red Seal Herbal Fresh Toothpaste comes in a fresh mint flavour to help freshen breath, and promote oral hygiene. No animal testing or ingredients. Smokers Toothpaste takes on stains that ordinary toothpastes leave behind! Smokers toothpaste will also cleanse and revive your mouth with its extra strong peppermint flavour. It is also ideal for non-smokers who want a doubly-fresh breath! Red Seal Baking Soda Toothpaste prevents plague build-up and tartar deposits. Baking Soda was renowned as a stain remover in our grandparents' day. Now it is making a comeback for improved anti-cavity protection and neutralization of plaque for people who brush properly and regularly. Perfect for nourishing and undoing damage to dry, chapped lips, Tate's "Natural Miracle Conditioning" lip balm is also formulated to help heal cold sores, fever blisters, minor cuts and scrapes and sunburn, too! As with all Tate’s products, only natural ingredients are used and this item was designed to be an excellent multi-purpose therapeutic aid rather than just be a lip balm alone. Eco-Dent has created a new vegan floss that is completely free from animal products. Infused with essential oils that can help reduce tooth decay and freshen breath, you get a lot of floss in each small package (a huge 100 yards total length, about twice as much as most brands of floss!) Floss comes in cinnamon flavour and the packaging is fully recyclable and biodegradable, too! 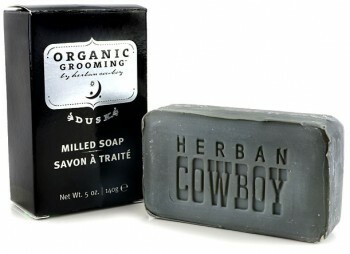 For those looking for a fantastic milled bar soap with a unique, masculine scent, the Herban Cowboy line is the way to go! “Made for the modern cowboy”, this soap has a musky, masculine scent with notes of sandalwood and forest essential oils. 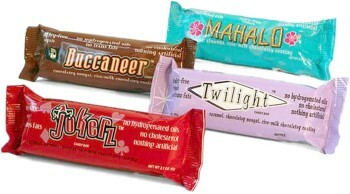 All bars are made with the highest quality organic ingredients, made in the USA, are completely cruelty-free, and are wrapped in recycled paper printed with soy ink. Large 140g bars. Our worldwide search for an effective vegan deodorant led us to the Herban Cowboy range. If you need long lasting protection without harmful synthetics or aluminum, then this organic, vegan deodorant could be your new best buddy. Available in Dusk (rich & musky), Wild (fresh & herbal), Forest (grassy), Mountain* (clean & woodsy) and unscented. NEW women's scents Blossom and Powder now available. The new Animal Liberation Victoria t-shirts are available in Unisex and Women's Fitted versions. Screen printed on high quality fair trade fabric. 100% of proceeds from the sale of these t-shirts go directly towards Animal Liberation Victoria's animal rescue campaigns. 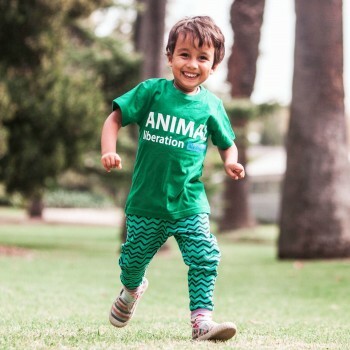 Now compassionate kids can wear their very own Animal Liberation t-shirts, in bright kelly green. 100% of proceeds from the sale of these t-shirts go directly towards Animal Liberation Victoria's life saving campaigns. The perfect threads for young activists! 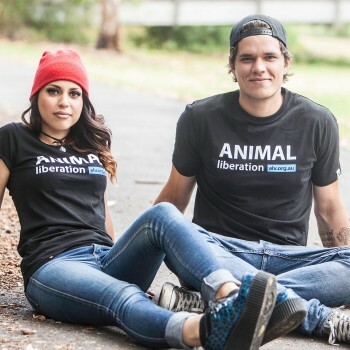 Animal Liberation Youth t-shirts are now available in Unisex and Women's Fitted versions. 100% of proceeds from the sale of these t-shirts go directly towards Animal Liberation Victoria's life saving campaigns. 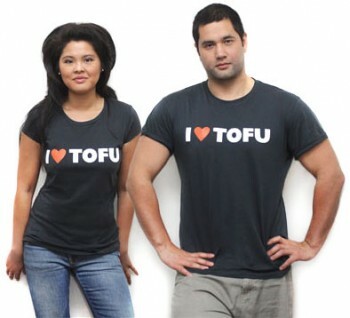 Show your love for tofu in our styling new 'I Love Tofu' tee, made from organic cotton in Australia and guaranteed sweatshop free! Warning: this t-shirt will probably get you banned in Colorado. 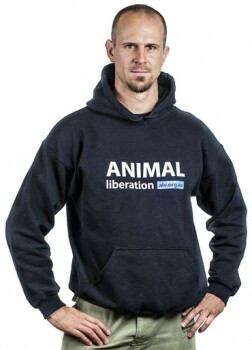 Look good in the hood and help animals at the same time. 100% of proceeds from the sale of these unisex hoodies go directly towards Animal Liberation Victoria's animal rescue campaigns. 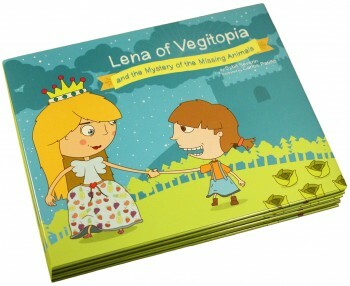 Lena of Vegitopia and the Mystery of the Missing Animals is a vegan-themed fairy tale about how one brave little girl stands up for the animal friends of her land and helps rescue them from being eaten. 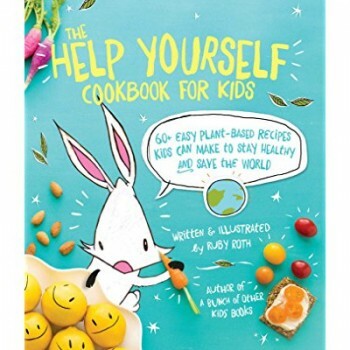 The book promotes messages of kindness, compassion, and action and shows that magical things can happen when you harness the power of veggies. 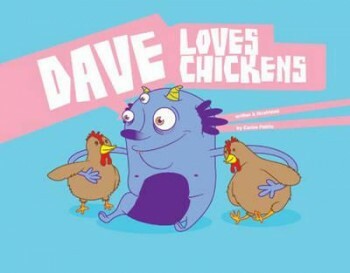 Dave Loves Chickens is the first in a series of books for young children examining the unique characteristics of animals and questioning why people eat them. The main character of the book, Dave, is a quirky monster from another planet who knows all sorts of fun and interesting facts about animals. 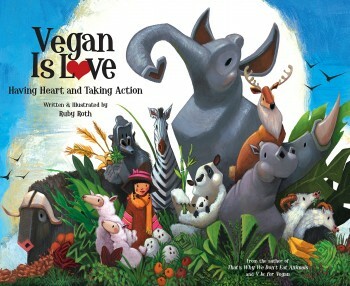 In Vegan Is Love, author-illustrator Ruby Roth introduces young readers to veganism as a lifestyle of compassion and action. 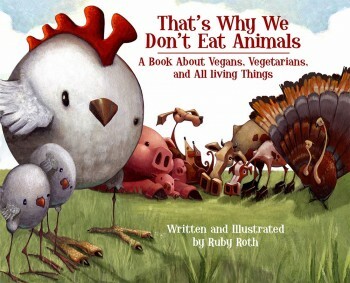 Broadening the scope of her popular first book That's Why We Don't Eat Animals, Roth illustrates how our daily choices ripple out locally and globally, conveying what we can do to protect animals, the environment, and people across the world. Experts tell us the best way to teach kids healthy eating habits is to involve them in the process. This irresistible cookbook presents 60 appealing recipes kids will beg to make themselves, in fun and charming illustrations they will love. 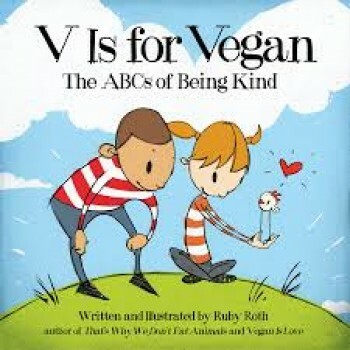 Introducing three- to seven-year-olds to the -ABCs- of a compassionate lifestyle, V Is for Vegan is a must-have for vegan and vegetarian parents, teachers, and activists! 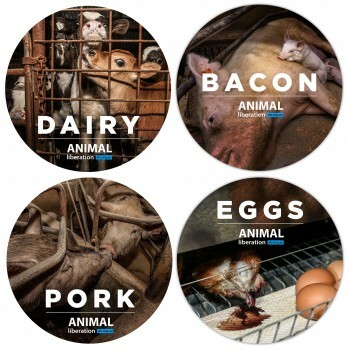 Buy these new stickers as a set of four or individually, for those moments when you need everyone to understand who not what they are eating and wearing. Very high quality, water proof, long term outdoor durable stickers, 10cm diameter. 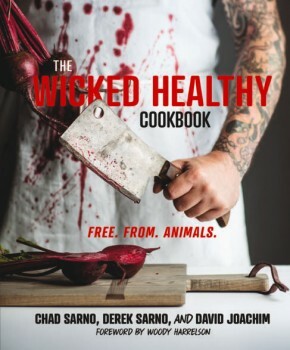 The Wicked Healthy Cookbook: Free. From. Animals. Chefs and brothers Chad and Derek craft humble vegetables into the stuff of food legend. Everything they create is a bold marriage of delicate and punchy flavors, and crunchy textures-all with knife-sharp attention to detail. 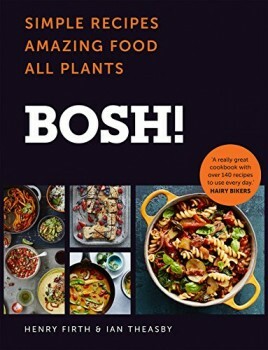 The 100 vegan recipes span many cuisines, bringing the meat-free flavours of the world into your kitchen. 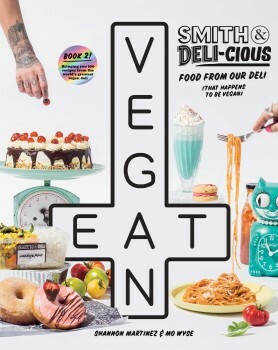 Forget your preconceptions of vegan food: this book celebrates delicious plant-based food the way it should be: big, bold and flavourful. Meatless meals revamped by the Cinnamon Snail, the vegan food truck with a cult following. Vegan pantry staples plus enticing recipes in which to use them. 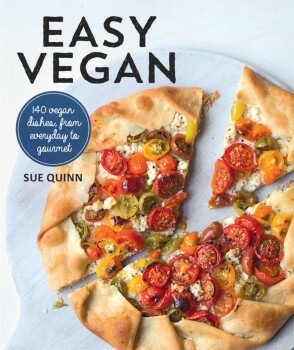 This is the ultimate DIY pantry book, doing double duty with recipes for vegan staples. Get a FREE copy of our comprehensive and recently updated guide to a kinder, healthier and greener life. Postage only $2! 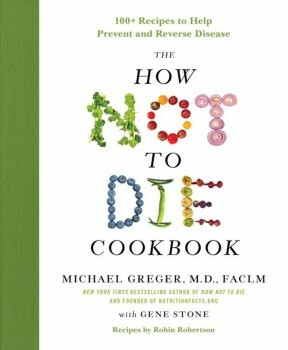 From Michael Greger, M.D., FACLM, author of the New York Times bestselling book How Not to Die, comes a beautifully-designed, comprehensive cookbook complete with more than 120 recipes for delicious, life-saving, plant-based meals, snacks, and beverages. Every recipe in The How Not to Die Cookbook offers a delectable, easy-to-prepare, plant-based dish to help anyone eat their way to better health. 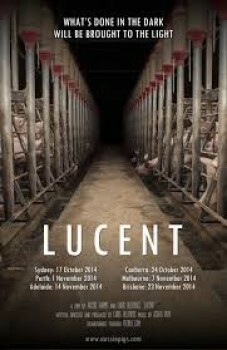 Lucent is a feature-length documentary about the vast yet largely unseen suffering inherent to Australia's pig farming industry. 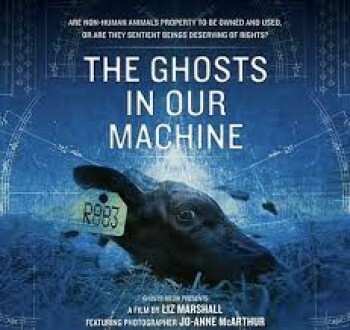 A cinematic feature length documentary that illuminates the lives of individual animals living within the machine of our modern world. 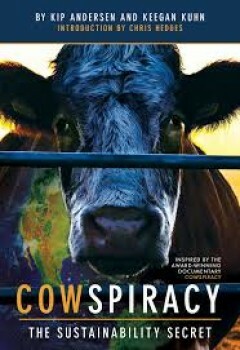 Cowspiracy: The Sustainability Secret is a 2014 documentary film which explores the impact of animal agriculture on the environment, and investigates the policies of environmental organisations on this issue. 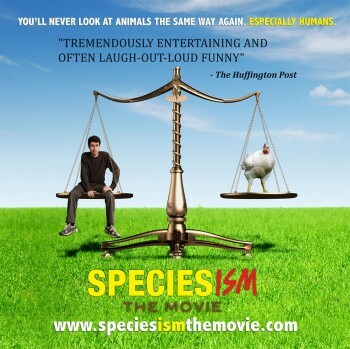 Speciesism: The Movie is a 2013 documentary film by American director Mark Devries. 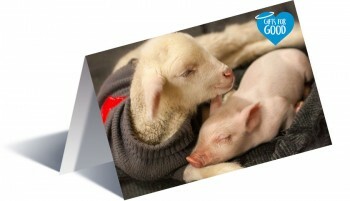 It explores the concept and practice of speciesism, the assignment of value to beings on the basis of species membership. 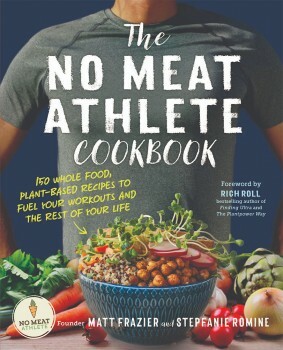 The No Meat Athlete Cookbook--written by NMA founder Matt Frazier and longtime health coach, yoga teacher, and food writer Stepfanie Romine--showcases 125 delicious vegan recipes, many inspired by plant-based foods from around the world. Put nourishing, whole foods on the table quickly and affordably. 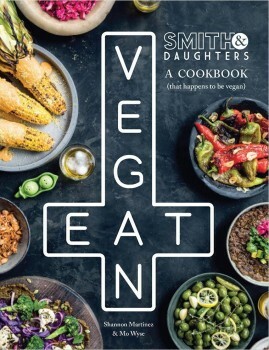 Smith & Daughters: A Cookbook (That Happens to be Vegan) ignores convention in favour of plant-based creativity in the kitchen. Shannon Martinez and Mo Wyse set out to build a restaurant that’s fun and full of life with a rock and roll vibe, and where good food is served – that happens to be vegan. No shouting about saving the animals. Shannon comes from the perspective of a carnivore and combines science, innovation and whimsical methods to create dishes and flavours that aren’t the norm for vego/vegan food. 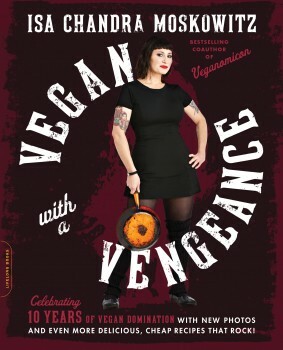 She instead tries to replicate the tastes and textures of meat that is the opposite of bland, predictable vegan food. The mere mention of soul food brings thoughts of greasy fare and clogged arteries. Bryant Terry offers recipes that leave out heavy salt and refined sugar, "bad" fats, and unhealthy cooking techniques, and leave in the down-home flavor. 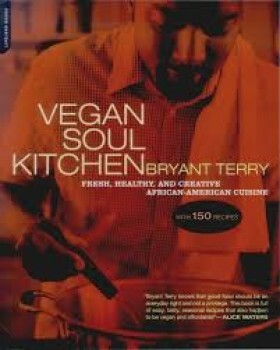 Vegan Soul Kitchen recipes use fresh, whole, high-quality, healthy ingredients and cooking methods with a focus on local, seasonal, sustainably raised food.Terry's new recipes have been conceived through the prism of the African Diaspora-cutting, pasting, reworking, and remixing African, Caribbean, African-American, Native American, and European staples, cooking techniques, and distinctive dishes to create something familiar, comforting, and deliciously unique. Reinterpreting popular dishes from African and Caribbean countries as well as his favorite childhood dishes, Terry reinvents African-American and Southern cuisine-capitalizing on the complex flavors of the tradition, without the animal products. The most exciting vegetable cooking in the US is happening at Vedge, where in an elegant nineteenth-century townhouse in Philadelphia, chef-proprietors Rich Landau and Kate Jacoby serve exceptionally flavourful fare that is wowing vegans, vegetarians, and carnivores alike. 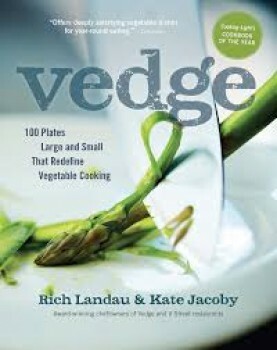 Now, Landau and Jacoby share their passion for ingenious vegetable cooking. The more than 100 recipes here--such as Fingerling Potatoes with Creamy Worcestershire Sauce, Pho with Roasted Butternut Squash, Seared French Beans with Caper Bagna Cauda, and Eggplant Braciole--explode with flavour but are surprisingly straightforward to prepare. At dessert, fruit takes centre stage in dishes like Blueberries with Pie Crust and Lemonade Ice Cream--but vegetables can still steal the show, like in the Beetroot Pots de Creme. 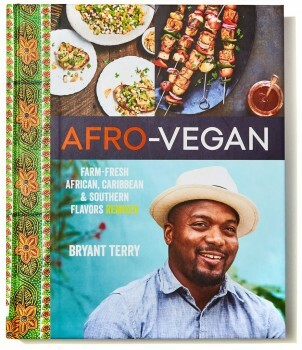 In Afro-Vegan, renowned chef and food justice activist Bryant Terry reworks and remixes the favourite staples, ingredients, and classic dishes of the African Diaspora to present more than 100 wholly new, creative culinary combinations that will amaze vegans, vegetarians, and omnivores alike. The hosts of the vegan cooking show The Post Punk Kitchen are back with a vengeance — and this time, dessert. 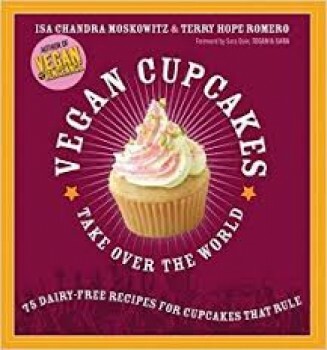 A companion volume to Vegan with a Vengeance, Vegan Cupcakes Take Over the World is a sweet and sassy guide to baking everyone's favourite treat without using any animal products. This unique cookbook contains over 50 recipes for cupcakes and frostings — some innovative, some classics — with beautiful full colour photographs. 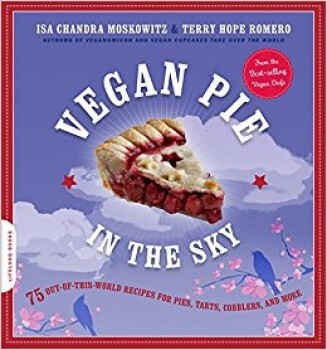 Vegan Pie in the Sky is the latest force in Isa Chandra Moskowitz and Terry Hope Romero’s baking revolution. You’ll find delicious and adorable pies, tarts, cobblers, cheesecakes and more—all made without dairy, eggs, or animal products. From fruity to chocolaty, nutty to creamy, Vegan Pie in the Sky has the classic flavours you crave. And the recipes are as easy as, well, you know. 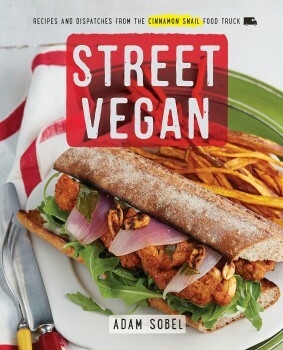 Here in her debut cookbook, Lauren shows that vegan food is anything but dull, with her creative and quirky twists on everything from crowd-pleasing appetizers to indulgent desserts, from easy weekend breakfasts to speedy weeknight dinners, plus holiday- and company-worthy fare you can serve with pride. Impress your family, friends, neighbors, guests-anyone!-with homemade gifts that you can feel good about and others will love. 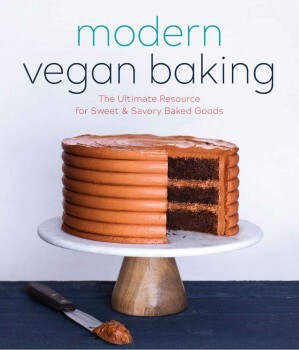 From mouthwatering vegan baking mixes you can create, package, and label yourself, to DIY gift baskets, preserves, liquors, and more, you'll find that perfect something for everyone, no matter what their views or inclinations. (No one can say no to a chocolate chip cookie after all-vegan or otherwise!) 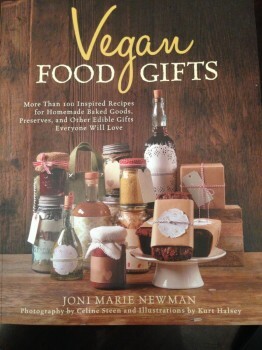 Vegan Food Gifts shows you how easy it is to create great homemade gifts that are not only kind and eco-conscious, but delicious too. So whether you are an expert chef or a beginner cook, a crafty genius or someone without an artistic bone in your body, you'll find projects that not only suit your skills, but your budget too. Be the hit of the bake sale, the darling of the holidays, the hostess with the most-est, and more with Vegan Food Gifts. Gourmet restaurateur and vegan food expert Miyoko Schinner shares her secrets for making homemade nondairy cheeses that retain all the complexity and sharpness of their dairy counterparts while incorporating nutritious nuts and plant-based milks. Miyoko shows how to tease artisan flavors out of unique combinations of ingredients, such as rejuvelac and nondairy yogurt, with minimal effort. The process of culturing and aging the ingredients produces delectable vegan cheeses with a range of consistencies from soft and creamy to firm. For readers who want to whip up something quick, Miyoko provides recipes for almost-instant ricotta and sliceable cheeses, and a variety of tangy dairy substitutes, such as vegan sour cream, cr me fra che, and yogurt. 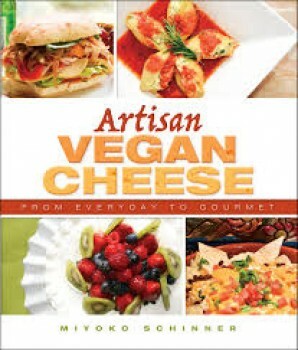 For suggestions on how to incorporate vegan artisan cheeses into favorite recipes, Miyoko offers up delectable appetizers, entr es, and desserts, from caprese salad and classic mac and cheese to eggplant parmesan and San Fran cheesecake. How Not To Die gives effective, scientifically-proven nutritional advice to prevent our biggest killers - heart disease, breast cancer, prostate cancer, high blood pressure, diabetes - and reveals the astounding health benefits that simple dietary choices can provide. Based on the very latest scientific research, How Not To Die examines each of the most common diseases, chapter by chapter, to reveal what, how and why different foods affect us and how increasing our consumption of certain foods and avoiding others can dramatically reduce our risk of falling sick and even reverse the effects of disease. 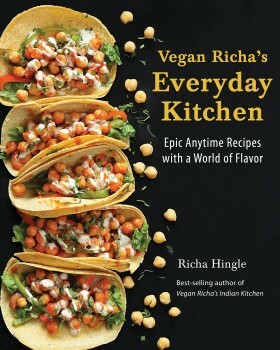 In her second book, Richa Hingle applies her culinary skills to international comfort foods. She delivers a wealth of flavor-packed "awesome sauces" and mix-and-match ideas to inspire you to create stunning meal combinations. These unique recipes have amazing depths of flavor, are easy to make, and have allergy-friendly options. Enjoy Richa's wow factor in sensational curries, comforting casseroles, and the next-generation of plant-based burgers, and more. 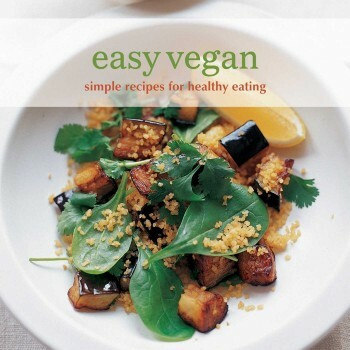 With 140 recipes for delicious non-dairy milks, basic pastries, warming soups and mains, salads, pasta, rice, noodles and sweet things, Easy Vegan has your vegan options covered. 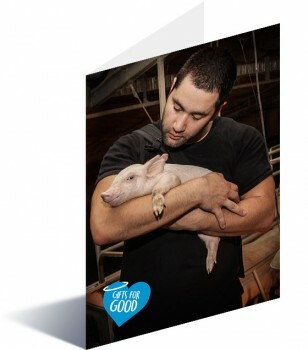 When an old friend contacted Steve Jenkins out of the blue and begged him to take in a 'micro' piglet, he couldn't say no. Though he knew his partner wouldn't be thrilled about him taking in yet another stray, the idea of having a cute little pig to care for was simply irresistible. Little did he know, that decision would turn his and Derek's lives upside down. 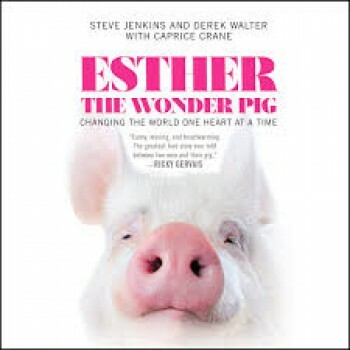 It turned out that as adorable as she was, there was nothing 'micro' about Esther, and as she grew and grew, Steve and Derek realised that they had actually signed on to raise a full-sized commercial pig. 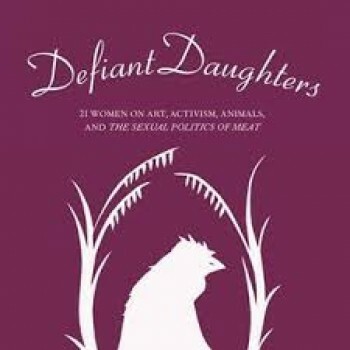 When The Sexual Politics of Meat: A Feminist-Vegetarian Critical Theory by Carol J. Adams was published more than twenty years ago, it caused an immediate stir among writers and thinkers, feminists, and animal rights activists. 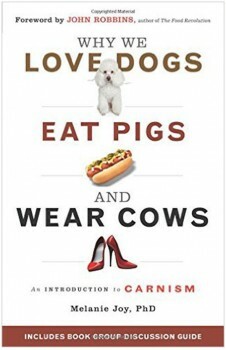 Never before had the relationship between patriarchy and meat eating been drawn so clearly—the idea that there is a strong connection between the consumption of women and animals. 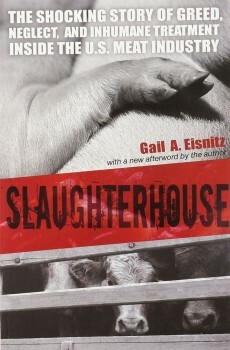 This is an account of industrialized killing from a participant's point of view. 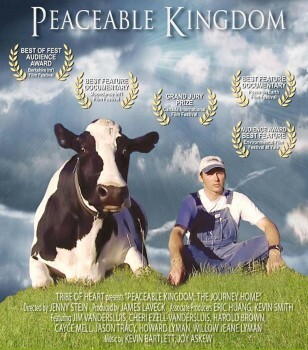 The author, political scientist Timothy Pachirat, was employed undercover for five months in a Great Plains slaughterhouse where 2,500 cattle were killed per day-one every twelve seconds. Working in the cooler as a liver hanger, in the chutes as a cattle driver, and on the kill floor as a food-safety quality-control worker, Pachirat experienced firsthand the realities of the work of killing in modern society. 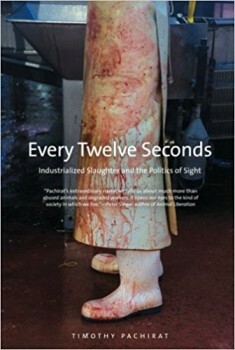 He uses those experiences to explore not only the slaughter industry but also how, as a society, we facilitate violent labor and hide away that which is too repugnant to contemplate. 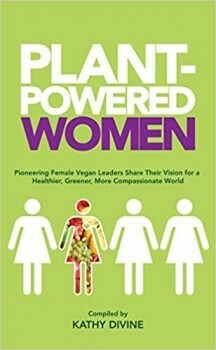 Part memoir, part cookbook, part crusade - Plant-Powered Women is an enlightened perspective on veganism, women and their professional and personal success. Filled with inspiration and wisdom, Plant-Powered Women shares profiles of prominent vegan women who've made their mark in every arena of life. From athletes to vegan advocacy to media professionals, readers everywhere will resonate with their phenomenal stories. These women pull no punches when it comes to their pursuit of health, peace and an eco-friendly world. They aren't just creating a legacy, they are living legends! Get your copy today and join these ladies on their quest for success in every area of their lives-you're more than worth it! This book takes a gentle and compassionate look at the plight of animals on factory farms, using gorgeous artwork and lively text to introduce the vegetarianism and veganism to early readers. The boldest step yet in children’s literature, this heartfelt, informative book offers a key resource to inspire parents and children to talk about a timely, increasingly important subject. More Vegan. More Vengeance. 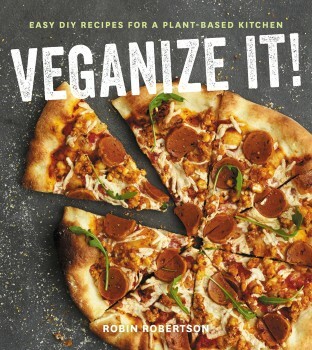 More Fizzle.Ten years ago a young Brooklyn chef was making a name for herself by dishing up amazing vegan meals,no fuss, no b.s., just easy, cheap, delicious food. Several books later, the punk rock priestess of all things tasty and animal-free returns to her roots and we're not just talking tubers. The book that started it all is back, with new recipes, ways to make those awesome favourites even awesomer, more in-the-kitchen tips with fizzle and full-colour photos of those amazing dishes throughout. 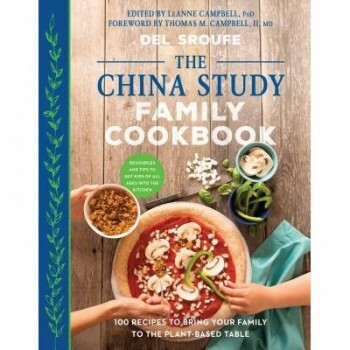 The China Study Family Cookbook: 100 Recipes and Resources to Bring Your Family to the Plant-Based Table is the family-friendly cookbook and guide you’ve been waiting for. 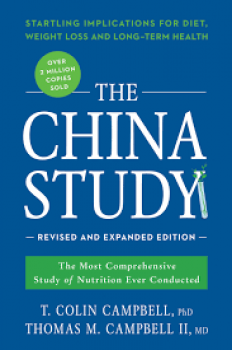 In The China Study, Dr. T. Colin Campbell details the connection between nutrition and heart disease, diabetes, and cancer. 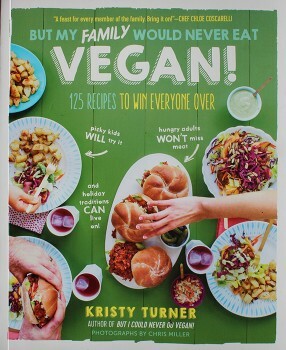 With her first cookbook, But I Could Never Go Vegan!, Kristy Turner deliciously refuted every common excuse to prove that, yes, anyone can go vegan. Now, But My Family Would Never Eat Vegan! Can’t imagine living without cheese? Convinced that dairy-free baked goods just don’t cut it? Hate the taste of tofu and not a fan of boring salads? EXCUSES, BE GONE! 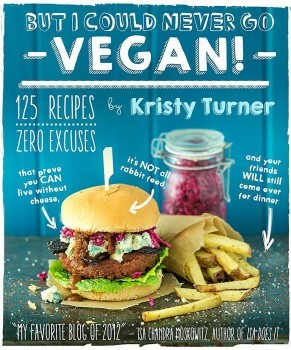 Blogger-author extraordinaire Kristy Turner deliciously refutes every excuse you’ve ever heard with 125 bursting-with-flavor vegan recipes for every meal of the day—including dessert! Dotted with personal anecdotes from her travels, family photos and fascinating local information, Jackie takes us from India to Indonesia on a journey of tastes and textures, via Sri Lanka, Thailand, Vietnam, Laos and Malaysia. 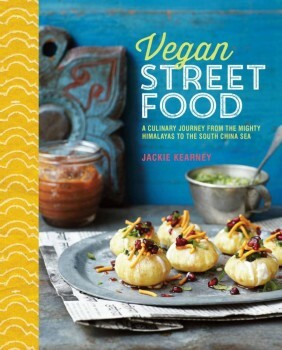 Recipes includes classic dishes that we might be already familiar with, such as Simple Sri Lankan Dal or Cauliflower and Kale Pakora, as well as regional specialties such as Oothapam (vegetable crumpets from South India) or Tahu Campur (Javanese fried tofu with cassava cakes). Street food is a central part of life in Asia. It brings families and communities together from breakfast to dinner, through all the scrumptious snacks along the way. The Vegan Table is your one-stop source for creating the perfect meal for your friends and family. 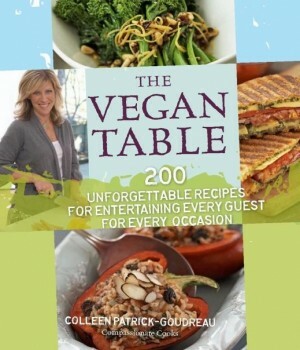 Whether you’re hosting an intimate gathering of friends or a large party with an open guest list, author Colleen Patrick-Goudreau, crowned the “Vegan Martha Stewart” by VegNews magazine, will answer your every entertaining need. Hearty and warming soups include Butternut Squash with Allspice and Toasted Pine Nuts, plus lighter choices for summer such as Zucchini, Fava Bean, and Lemon Broth. Try delicious Snacks and Light Meals such as Hot Red Pepper and Walnut Dip; Lentil, Carrot, and Cilantro Pâté; Sesame Potato Wedges with Peanut Dipping Sauce; and Vegetable Potsticker Dumplings with Citrus Dipping Sauce. This is not your mother's low-fat cookbook. There's no foolish tricks, no bizarre concoctions, no chemicals, no frozen meals or fake anything! 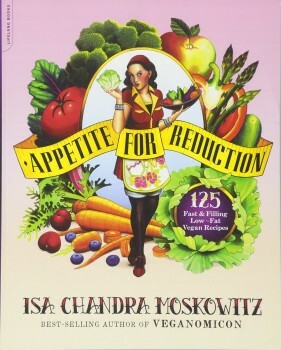 Appetite for Reduction means cooking with real food, for real life. 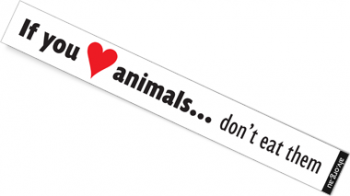 Help save animals by putting this sticker on cars, doors, school books, folders.. anywhere it will be seen! 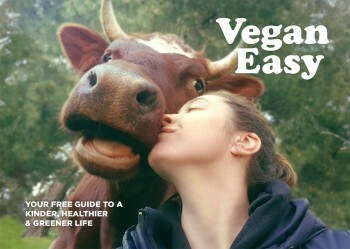 Formerly the Living Vegan Magazine. 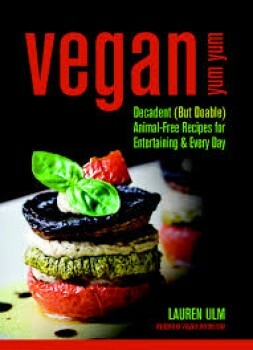 Providing entertaining, informative and innovative articles that appeal to both vegans and to those "just browsing". 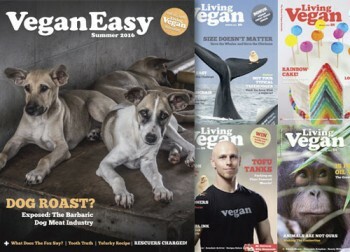 Vegan Easy Magazine aims to advance veganism as the compassionate, rational and healthy lifestyle that it is. 32 pages of full colour vegan goodness, interviews, food reviews, recipes, health and fitness and more. 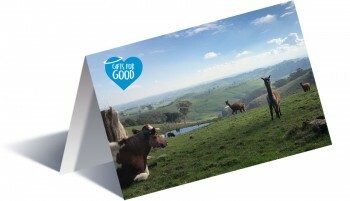 Printed on 100% post consumer recycled paper using vegetable oil based inks. Need some peace of mind in the coffee line? 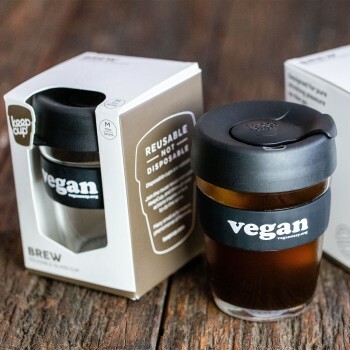 'Soy' it loud and clear with our limited edition vegan keepcups. Provides more than ten healthy vegan meals for young people experiencing homelessness and empowers them through learning how to prepare nutritious, cost effective, ethical meals. Helps purchase life saving equipment and cover veterinary costs to fund important future rescues and investigations. Provides more than a week's food for all of the non-human family members at Liberation Sanctuary. Popular snacks include grains, oats, pollard, barley, fruit and veggies. Have an email sent to someone instead of a physical card to let them know you've made a donation in their honour. 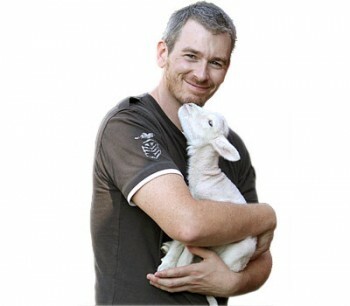 Make a donation to Animal Liberation Victoria and and help their work to stop animal abuse.